TV anchor Dan Cohen has left KFMB-TV/CBS 8 in San Diego to relocate to Los Angeles and join KTTV-TV/Fox 11 as the station’s main weeknight evening anchor. Cohen, who has worked at Channel 8 since 2002, anchored morning and midday newscasts with Nichelle Medina for the past 14 years. Until Cohen’s departure, the duo held the longevity record as San Diego’s longest-running anchor team. “I am humbled to have had the opportunity to live out my dream in America’s Finest City in a job that was better than I could have ever imagined,” said Cohen. In social media posts, Cohen thanked his agent Matthew Kingsley of 3 Kings Entertainment, a broadcasting talent agency based in Chevy Chase, MD. 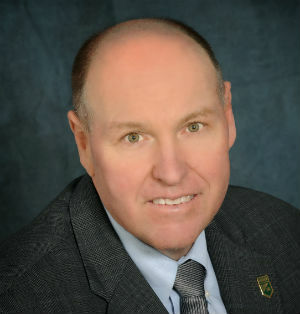 While at CBS 8, Cohen received three Emmy Awards for his work covering the San Diego wildfires in 2003 and 2007, and for live coverage of a military jet crash into a home in University City. Prior to San Diego, Cohen worked in Chicago, Atlanta and Tallahassee, FL. The station posted a video of an emotional Cohen signing off. Eric Kahnert, weekday anchor of KFMB’s 10 p.m. newscast that airs on Channel 6, is expected to replace Cohen. Earlier this year, Kahnert relocated to San Diego from Denver, where he spent six years working at KMGH, an ABC affiliate, and KUSA, an NBC affiliate. Previously, he also anchored and reported for two years at KSTP, an ABC affiliate in his hometown of Minneapolis. 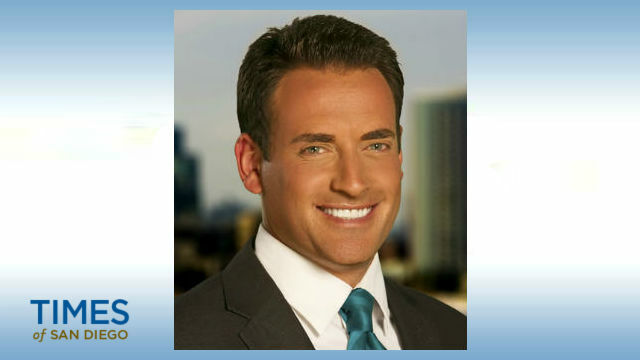 Jeff Michael was Fox 11’s anchor for 18 years before his departure in late 2016. SDX has begun accepting entries for its 2018 San Diego American Advertising Awards, San Diego’s largest advertising industry competition. Deadline for entries is Feb. 2. Late deadline for entries with an additional $20 fee is on Feb. 9. Timeframe for entries is work that appeared between Jan. 1 and Dec. 31, 2017. ADDY awards will be presented in more than 110 advertising, digital and graphic design categories. Categories include sales and marketing, print advertising, out-of-home and ambient media, film, video and sound, elements of advertising, cross platform and online-interactive, as well as about 30 student categories. Single entry fee is $100 for members, $130 for nonmembers. Campaign entry fee is $130 for members and $160 for nonmembers. Student entry fee is $50. Members of the following local networking groups can enter at the SDX member rate: Ad 2 San Diego, American Photographic Artists, American Institute of Graphic Arts, International Association of Business Communicators, Printing Industries Association, San Diego American Marketing Association, San Diego Direct, San Diego Media Pros, Society for Experiential Graphic Design. SDX is offering free concierge service for pick-up and entry preparation assistance. Contact SDX at (619) 255-2281 to schedule a visit from an SDX representative to an entrant’s office. For more information, visit www.sandiegox.org. This year’s awards program theme is “Level Up San Diego.” MeringCarson provided event theme and creative design. Gold, Silver and Bronze awards will be presented at an awards event on March 16. The name of the award is an ADDY, the same name of the award presented on the national level. Following the local awards program, SDX will pay entry fees for Gold winners competing at the district level, which comprises Southern California and Southern Nevada. Then, district winners can advance to the national American Advertising Awards, presented by the American Advertising Federation. The federation is a national advertising trade organization with members comprising more than 150 local advertising clubs, including the SDX. The national ADDYs program is known as the world’s largest and arguably the toughest advertising competition with more than 40,000 entries annually. At the 2017 awards program, SDX presented 114 ADDY trophies to 27 companies in 41 advertising, digital and graphic design categories, culled from 264 professional entries. Founded in 1911, SDX is one of San Diego’s oldest business associations. It is committed to advancing the marketing and advertising community by creating an environment that allows agencies, brands, publishers, and entrepreneurs to connect with what’s next in the industry. 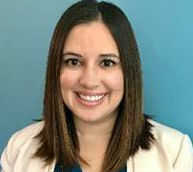 Crowe PR, a San Diego-based public relations firm, has hired Erin Brown as an account supervisor, announced Anna Crowe, founder and CEO. Previously, Brown worked at another local PR agency handling media relations for hotels, restaurants and lifestyle brands. She also worked at KSWB-TV/Fox 5 San Diego as a news producer. “Erin is a great addition to our team,” said Crowe, who founded her firm in 2015. “Her organizational skills, passion for storytelling and drive were evident from the start. We look forward to seeing Erin’s hard work and leadership skills in action, which are sure to bring added success to Crowe PR and our clients.” Crowe PR has offices in San Diego and New York City. Public affairs firm Southwest Strategies has added two new employees: Kara Kong, manager of public affairs, and Olivia Chivers, account executive. Kong, with 11 years of experience, was previously with the Competitor Group, organizer of the Rock ‘n’ Roll Marathon series. She also worked in Sacramento assisting on dozens of state-wide ballot initiative campaigns and various regulatory campaigns. She also has experience with San Diego Association of Governments and Caltrans in a consultant capacity on a variety of transportation, infrastructure and construction outreach issues. Chivers was previously a freelance writer for a variety of clients. She has experience with copywriting and editing, as well as content creation for social media and the web. Chivers was a contributor to her university newspaper while attending Arkansas Tech University. Southwest Strategies was founded by Chris Wahl and Alan Ziegaus in 2000. Offices are located in San Diego, Fresno and Sacramento.